In the previous part of VivaGlobetrotting you will have found out that Alejandro Hurtado has left Chicago Fire in the MLS to join an unnamed Spanish La Liga team. As it is 2031, it seems an appropriate point to take a look back at some of Hurtado’s past clubs to see how they are getting on now. It also serves the purpose of a reminder of our journey so far since we began this save back in November 2016. So, let’s begin with Alejandro Hurtado’s first job in management: Deportes Puerto Montt. 8th January 2017: Sacked after six months in charge. 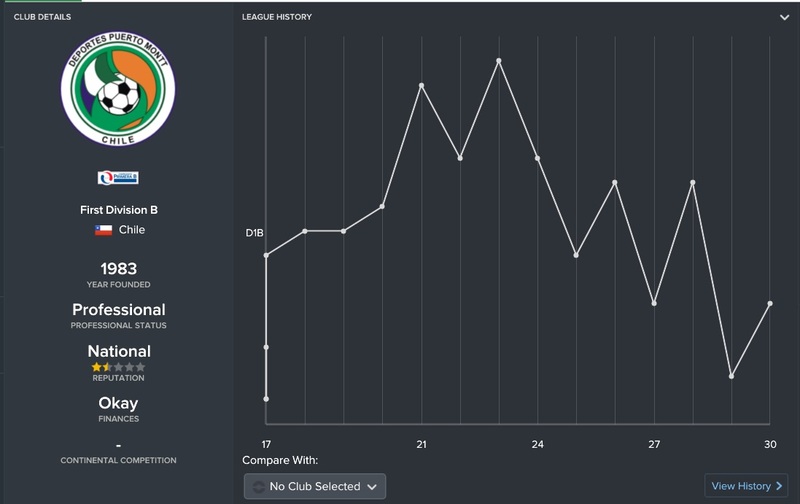 Deportes Puerto Montt came so close to winning promotion to the Primera Division in 2023, finishing 2nd in the league behind Deportes Melipilla. They’ve remained a Primera B side but will certainly look at the career of their sacked manager Hurtado and wonder what could have been. 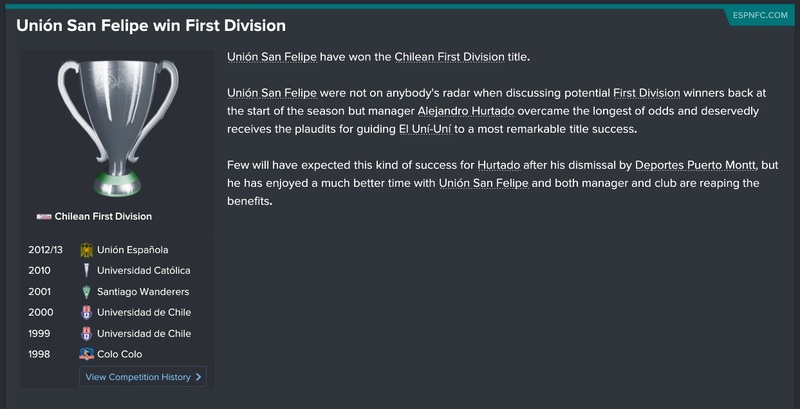 Alejandro Hurtado took Union San Felipe from the depths of the second tier of Chile to the very top, beating the likes of Colo Colo and Universidad de Chile to win the Primera in 2022. 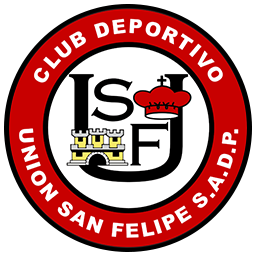 Union San Felipe have dropped off from their title winning highs. Since coming 3rd in Hurtado’s final season, USF have become a mid-table Primera side and have not been able to replicate the successes from earlier in the decade. Alejandro Hurtado vs Pablo Guede. A clear winner emerges. The 2025 seasons under Hurtado’s leadership remain the most infamous year in Tolima’s history. 3 penalty shootout losses in 3 finals (Apertura, Finalizacion and Colombian Cup) put the wheels in motion for Hurtado’s departure the following summer. 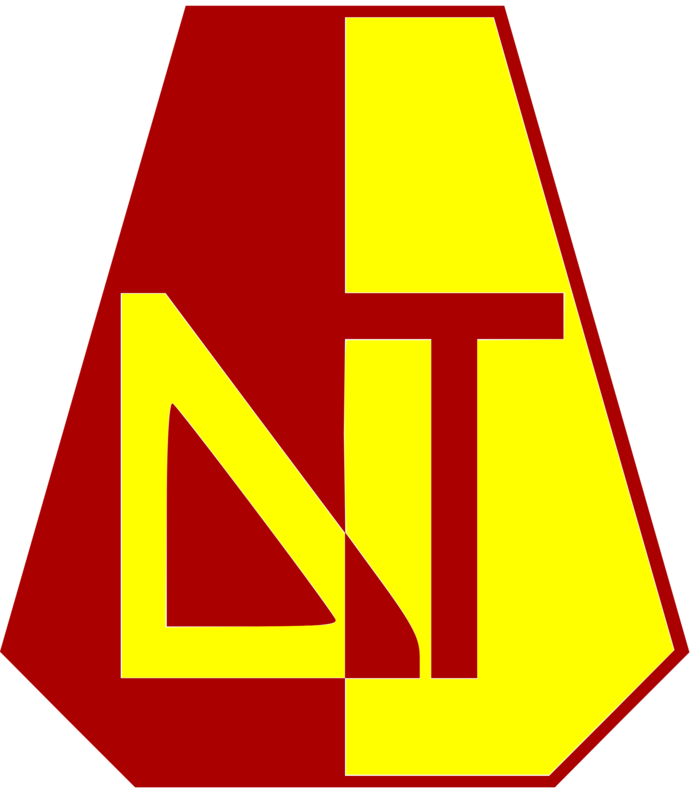 Like Union San Felipe, Deportes Tolima have been unable to build on the progress made by Hurtado throughout his time in Colombia. In two full seasons, Hurtado built Tolima into a top five club. But Tolima have now dropped off, and in their most recent season finished 10th and 14th. An identical finish to that of Hurtado’s first season in charge of the Colombian side. River Plate won the Argentine Primera two years in a row prior to Hurtado’s arrival at the club. This showed that he had a good squad capable of winning the league again and perhaps pushing for Copa Libertadores success. But in two full seasons at the club, Hurtado failed to live up to the high expectations, finishing 3rd in both seasons. He did, however, win one Argentinian Cup to lift his spirits slightly. River Plate have improved to become the top side in Argentina once more. In three seasons without the Chilean, their league finishes have been 2nd, 1st and 1st. The latest season won’t show on the graph, but two league wins since Hurtado’s departure proves that River Plate will be seen as a failure on Hurtado’s CV. 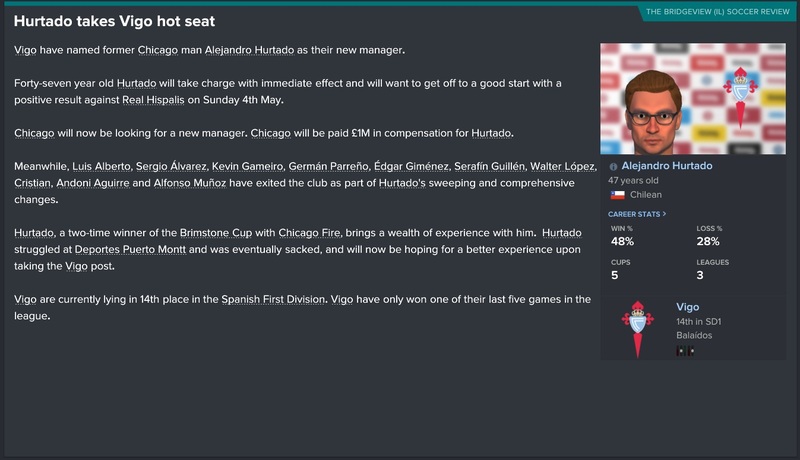 Hurtado took charge of Chicago Fire in 2028 when they had just eight playable players. The rest of the squad were made up of greyed out players. Over three years at the club, Hurtado built a side that were competitive and difficult to beat but left before any successes could be had with the team. He led Chicago to a 14th place finish in his final full season in the MLS. 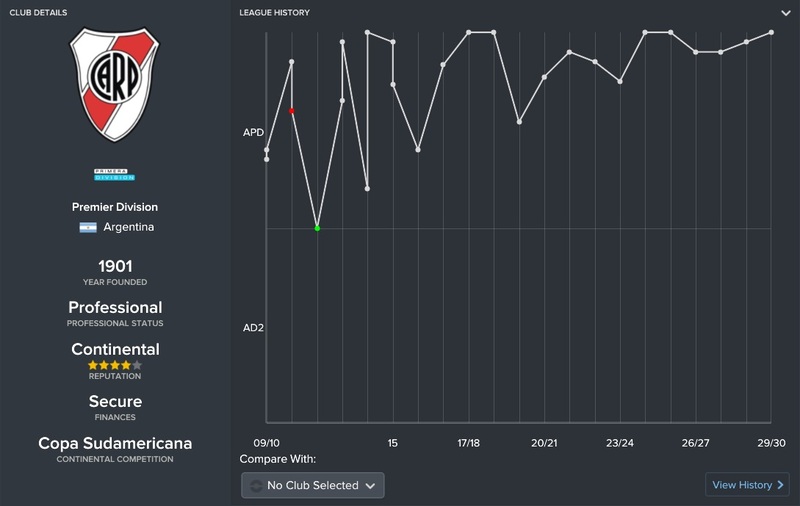 Despite having only just left Chicago Fire, we have actually completed one full season at our new club. 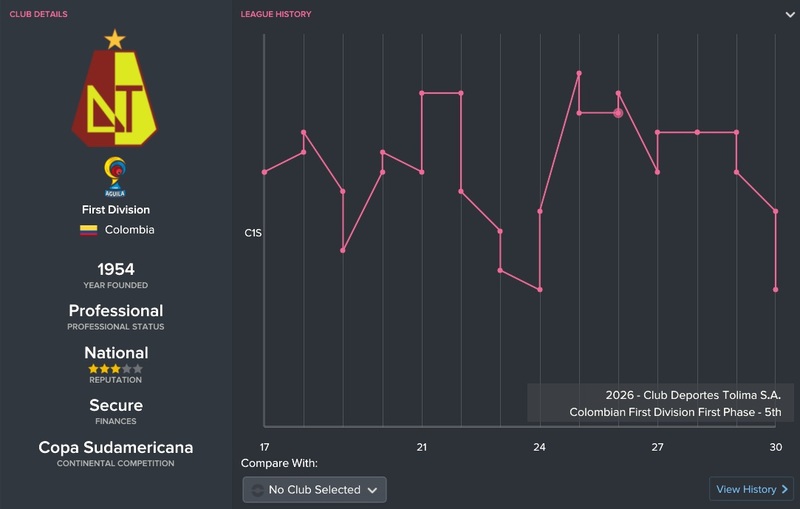 Let’s take a peek at how Chicago Fire performed in the 2031 season! 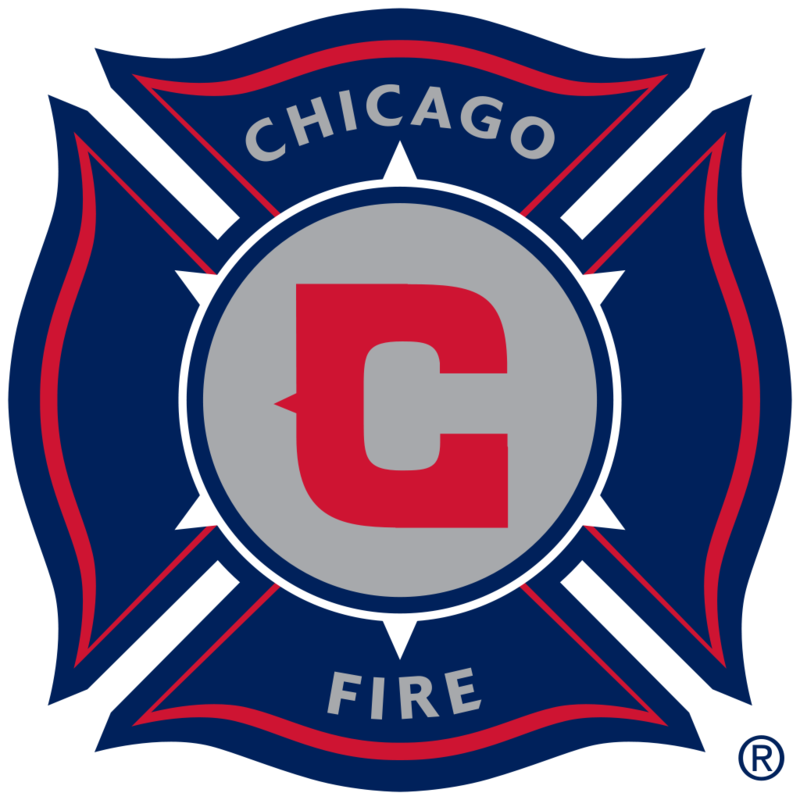 An incredible season saw Chicago Fire come second in the MLS Supporters Shield, winning their Eastern Conference in the process. Would Chicago have performed this well with Hurtado in charge? Perhaps. But it must be said that the squad that Hurtado built, from just eight playable players in 2028, is a truly brilliant achievement. Chicago owe a lot to the Chilean manager. 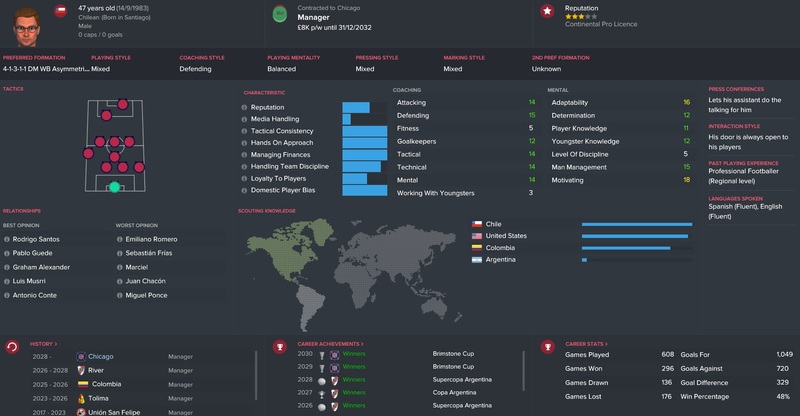 In 2025 Alejandro Hurtado took up the role of Colombian national manager. He oversaw the team progress through to the 2026 World Cup where he led them to a Quarter Final. To see more about our World Cup campaign follow this link. Hurtado resigned as manager of Colombia after the 2026 World Cup to focus on his club career. So where has our manager ended up. In the last part of VivaGlobetrotting we said that he had been offered a role at a well established club in the Spanish La Liga. And it can be confirmed that Celta Vigo have signed Alejandro Hurtado on a two year deal! Thanks for reading this 15 year review of our VivaGlobetrotting adventure. 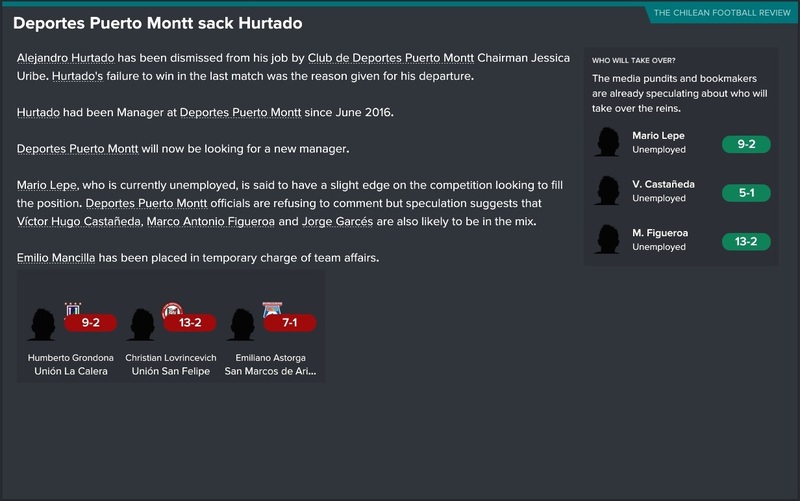 It has certainly been one of my favourite ever FM saves and I hope it can continue until a satisfying end with Alejandro Hurtado winning the Champions League with Sevilla. Let’s hope we can make it there! This entry was posted in FM17 Stories, Football Manager 2017, VivaG Argentina, VivaG Chile, VivaG Colombia, VivaG Spain, VivaG USA, VivaGlobetrotting and tagged alejandro hurtado, celta vigo, chicago fire, deportes puerto montt, deportes tolima, fm stories, fm17, football manager, la liga, mls, river plate, south america, union san felipe, VivaG Argentina, VivaG Chile, VivaG Colombia, VivaG Spain, VivaG USA, world cup. Bookmark the permalink.